The Flash star Grant Gustin dropped a special poster for the upcoming crossover episode with Supergirl. The cover recreates a famous DC Comic, and it features Supergirl (Melissa Benoist) and Grant's Flash in the ultimate race. 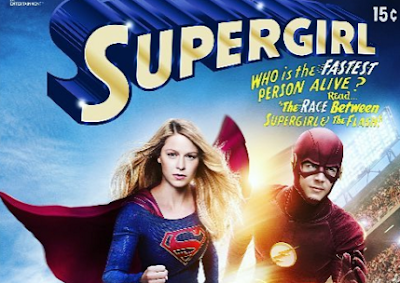 The crossover between the CBS series Supergirl and The CW's The Flash happens March 28.